juberjabber: Google voice and video - now available for Linux! Google voice and video - now available for Linux! Google voice and video chat is now available in Gmail for Ubuntu and other Debian-based Linux distributions. As the comments on this blog indicate, I know many folks have been waiting very patiently for this day! For those of you using RedHat-based distros, we're planning on adding RPM support soon as well. This release required significant engineering to develop an all-new video rendering solution and an all-new PulseAudio-based audio handler, along with work to support 64-bit and countless webcam compatibility tests. We spent a lot of effort to make it fully feature-complete, with all the same goodies as the Windows and Mac versions, and we're happy to now support Google voice and video now on all major desktop platforms. Visit www.google.com/chat/video and start video chatting! Great stuff!!! You must have been chomping at the bit a couple of months ago to let us know. I think it is things such this AV plugin that will really make linux adoption and rollouts much easier...end-users just expect this sort of stuff to work. I hope Google stick with it though...Linux adoption needs time. From a GTalk product perspective, I also hope some new generalised features start rolling out soon, now that PC/Mac/Linux are in the mix...Some QoS tagging and integrated SIP & IM interoperability would be nice! I'm not able to visit the site using Firefox (3.6.8/10.04) - it goes to a 404. Why is that? This is great news. If you are in such a position, would you mind commenting on the state of pulseaudio? I know skype developers had a really lousy time with it, this would be another curious testimony. Thanks a lot. I tried to create a PKGBUILD for Archlinux but video is not working yet. The widget remains black and ownly shows the (working) fullscreen button. Another user can see avatars so it's probably a missing dependency. Could you help figuring out what it is? The file is at http://aur.archlinux.org/packages/google-talkplugin/google-talkplugin/PKGBUILD. In Kubuntu 10.04 64-bit plugin works, but unfortunately its unusable. Has no webcam image control to rotate input from cameras mounted upside down - a common problem in Asus laptops. There is a patch for v4l library, but unfortunately Google missed it. It's working now. 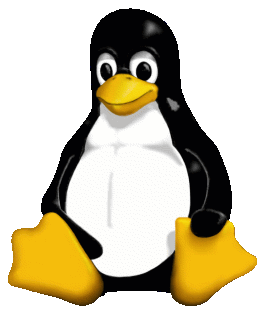 Thank again for supporting Linux. Thanks from India! Please comment on how you engineered this...the Pulse audio and webcam support, etc. to bad that is using the crappy pulseaudio backend. Great to see that Google cares about Linux ! This does not work with Ubuntu 10.04 i686. Firefox does not even see the plugin. Install paths might be wrong? And voice-and-video-linux-packager@google.com is a bogus email address that does not exist. lame! Thanks so much. I love the Google video chat model, just a plugin for the browser, easy install, working inside an interface I'm in all day anyway. This was basically the only reason to keep a windows boot available. I'm FREE! @Anonymous it will support capture via libv4l in a future update. Also, it can use either PulseAudio or ALSA--whichever one is available. Thank you, but trying to use it to talk to afriend using Ubuntu 10.04 has myself, I could see my webcam but he didn't have any notification ? have you got an idea ? do we nead pulse audio to be activate ? PS: It would be great an ubuntu repository to stay up-to-date. It works! I did notice one bug, so far: using the plugin creates a ‘debug.log’ file in my home folder. I've an Asus UL30A with the camera upside-down, I've seen there are solutions in progress (a 1/2 line patch to libv4l or something like this). Here the bug: https://bugs.launchpad.net/ubuntu/+source/libv4l/+bug/224559 (probably there are other people with this problem here). n900 support? Or is your port i386 specific? Has anyone got this working in 32 bit Ubuntu 8.04? The video stream working fine but I can neither hear audio on my end or send audio to the receiver. This is fantastic, and I hate to ask for more, but when will there be a gadget for GVoice for the Google Desktop Gadget sidebar? (Specifically, I'm running Ubuntu 10.04.) I have an old computer and leaving gmail open in a firefox tab really starts to bog my system down after a couple of hours (why does that happen anyway? ), so I'd really like to move these functions to gadgets that only need to do things when they check the server or when I tell them to do something. Hate to sidestep your browser choice, but have you tried Google Chrome, Chromium, Epiphany, or putting it in Prism? Don't get me wrong i'd love a widget/gadget too, for screen real-estate's sake. Is google video chat plugin for linux using libv4l ? The plugin uses v4l directly. We're looking at using libv4l in the future. Latest version of google video chat plugin (released yesterday) works great with the epcam linux driver that I wrote for my Creative WebCam PD1001 camera. Hold the phone! Free calls in Gmail!